Kelambakkam backwaters is a brackish water lagoon adjacent to the Bay of Bengal in the East Coast Road. 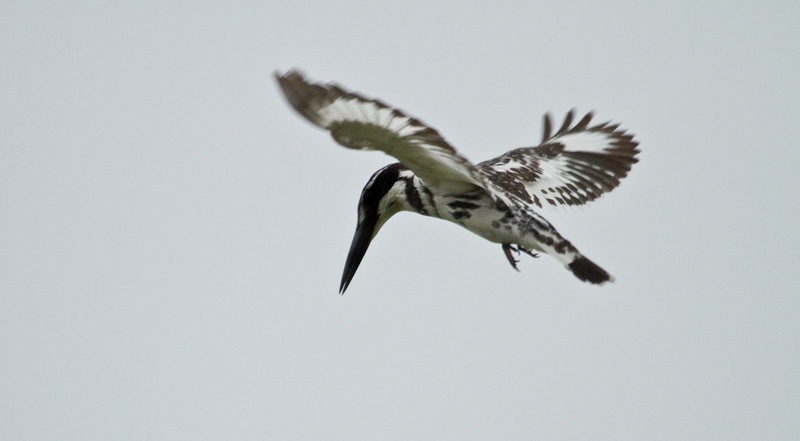 I had an opportunity to shoot these beautiful pied kingfisher in Kelambakkam backwaters, Chennai. 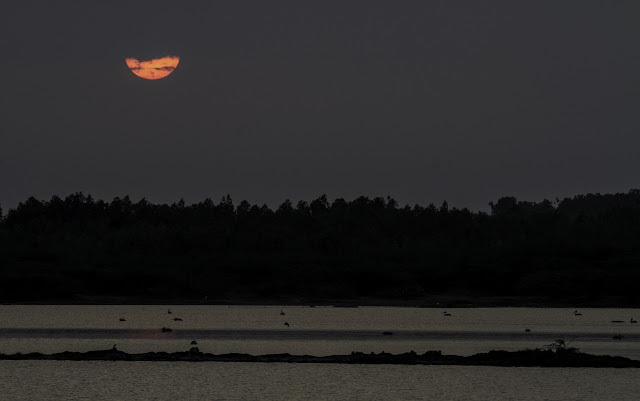 I had to getup at 5am to drive all the way to Kelambakkam. 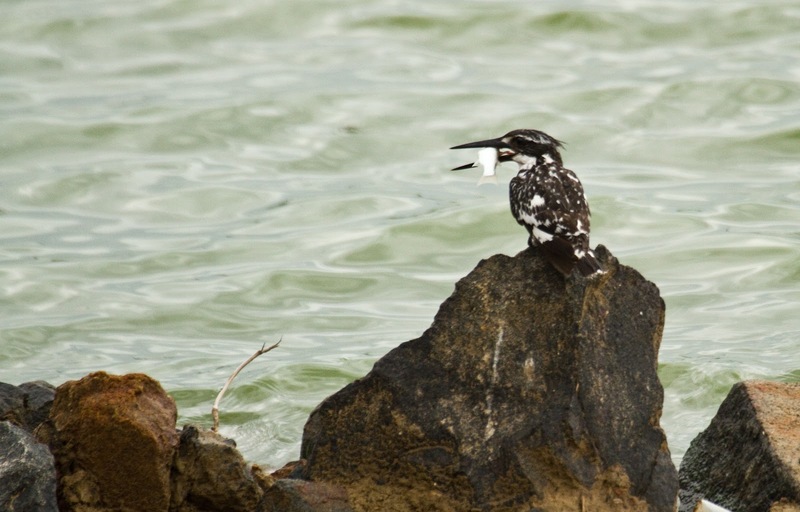 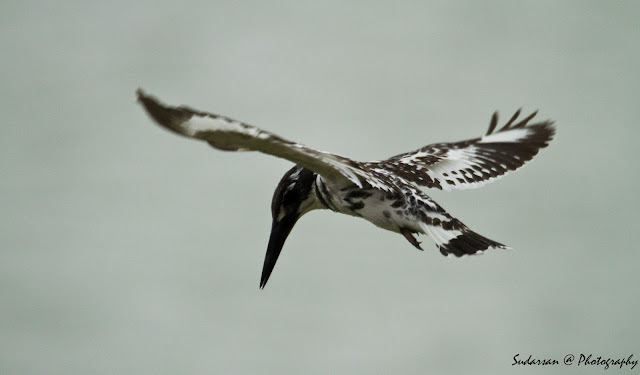 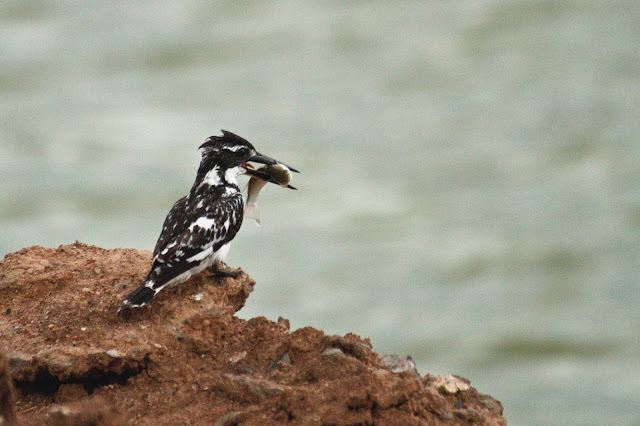 The Pied Kingfisher has black and white plumage, crest and the habit of hovering over clear lakes and rivers before diving for fish makes it distinctive. They are usually found in pairs or small family parties. 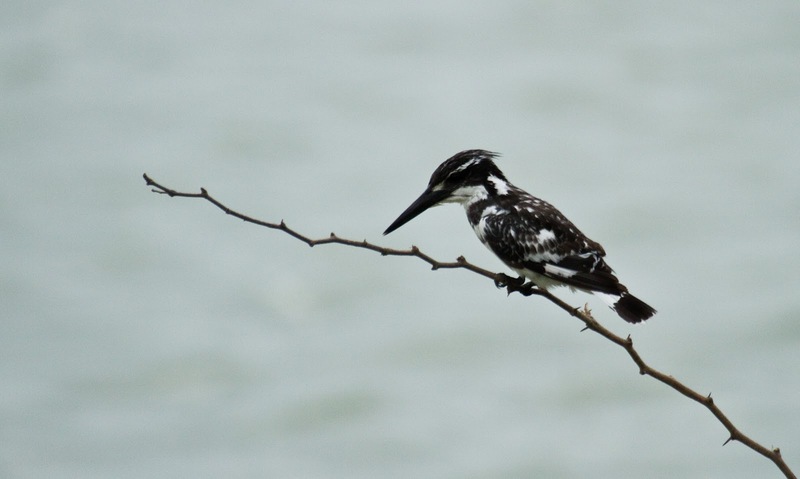 When perched, they often bob their head and flick up their tail. It usually hunts by hovering over the water to detect prey and diving vertically down bill-first to capture fish. 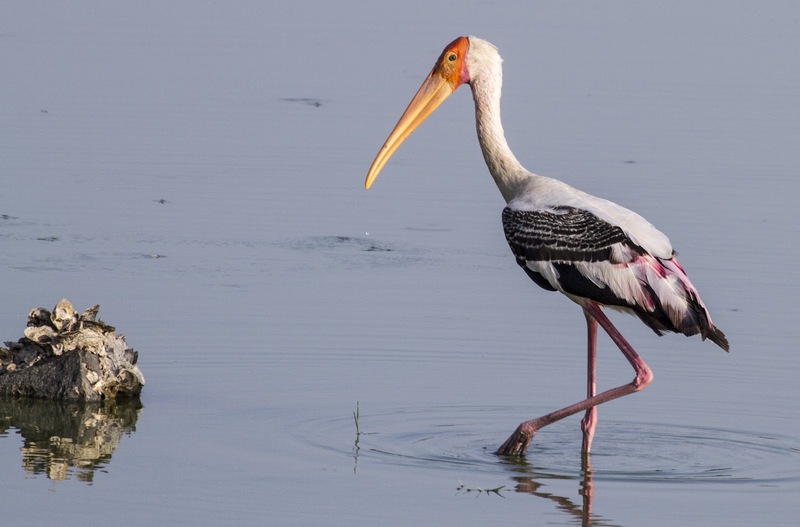 Painted Stork (Mycteria leucocephala) is a large wading bird in the stork family. It is found in the wetlands of the plains of tropical Asia.They forage in flocks in shallow waters along rivers or lakes. 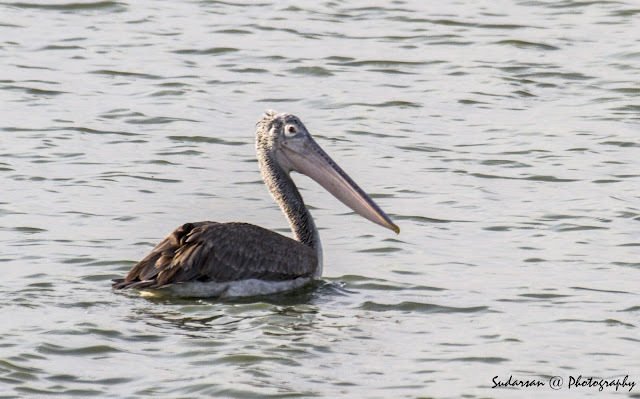 They immerse their half open beaks in water and sweep them from side to side and snap up their prey of small fish that are sensed by touch. 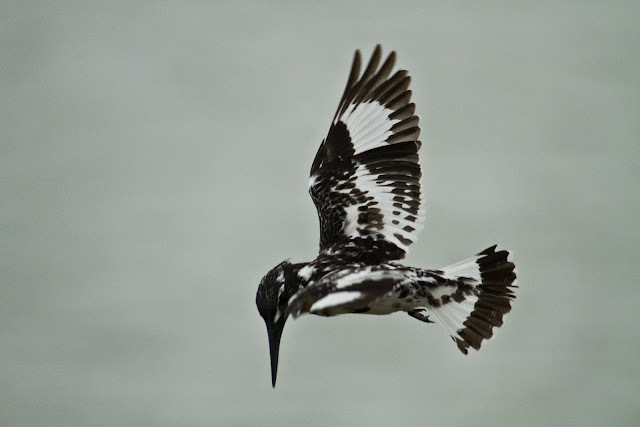 As they wade along they also stir the water with their feet to flush hiding fish.